As some of you may or may not know, I visited Osaka, Japan last year for the first time ever and was so in love with the country (read: acting on adrenaline from the trip), booked my next flight there once I got back. And this time, I dragged along Sister, Friend and Cousin for a 9 days trip through Kobe, Kyoto, Nara and Osaka. Given that we were, most of the time, broke, the challenge of this trip was to travel on a budget of RM5000 and I dare say it is possible as you can read about it here. From there, we took the FOC shuttle bus from bus stop 12 right outside the airport entrance to the ferry terminal just 10 minutes away where we board the spacious and comfortable high speed boat to Kobe. Given our lack of sleep on the flight, we knocked out immediately as soon as the boat set off and snoozed the whole 30 minutes. Best sleep ever! Upon arrival at the Kobe ferry terminal, we took a 3 minutes bus ride (after some initial confusion) to Kobe airport station where we caught the Portliner train heading into the city using the Kansai Thru Pass. As the train took us away from the terminal station, we marveled at our first sight of Kobe, a long and narrow city that stands between the sea and the mountains. Kobe is one of the few cities to open their doors to the westerners in 1850s, hence the heavy westernized influence in its landmarks and food. Most would know it as the origin of the world famous Kobe beef. Speaking of Kobe beef, I could not visit Kobe without trying their beef and after much research, found a famous restaurant called Steakland in the main Kobe hub of Sannomiya that offered Kobe beef at reasonable prices during lunch time. My plan was to leave our luggage at our guesthouse, Yume Nomad at Shinkaichi and head to Steakland for lunch. As the restaurant opens at 11am, we arrived at 1130am and found a line forming outside the restaurant already. We joined it and soon found that the line was actually much longer than we expected. In fact, the line was so long that the servers had to take us to an extended branch of the restaurant around the corner where we joined the crowd in a small narrow waiting area. We had to put our names down on a waiting list and already there were 20 names ahead of mine. It being a Saturday explained the crowd and the endless groups of people that spilled in after us. Some were turned off by the crowd while others persevered and joined the waiting list. As for us, we waited 45 minutes before our grumbling tummies and growing sleep-deprived headaches prompted us to give up and head elsewhere for lunch. We ended up eating at an Italian restaurant, Amataro facing the main Sannomiya station. The pasta was so-so but they had refillable UCC coffee which was delicious and also green tea. 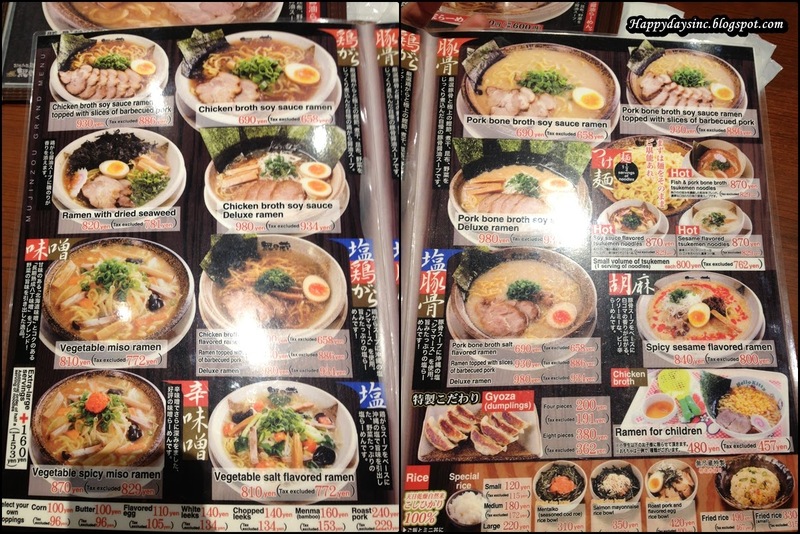 The price at this restaurant range from 500yen to 1000yen. After lunch, we headed to the famous former westernized residential neighborhood, Kitano Ijinkan aka Kitana-cho aka Foreign Residences. This area was a nice walk through time as the houses were kept in their original conditions and the gardens were well care for. On the downside, each houses had an entrance fee and we opted to just explore the colourful neighborhood that was filled with tourists, local and foreign. The houses were on a steep slope that had many narrow alleys to explore and cut across and by some luck, we found ourselves at the Weathercock house, the iconic red house with the weathercock on its red tiled roof. Right in front of it was the Kitano tourist information center and a nice courtyard overlooking Kobe. The Kitano tourist information center was worth a stop by as the friendly uncle there gave my group a set of maps and coupons to help us around Kobe once he found out that we were tourists. He gave us some helpful directions to the famous Kitano Starbucks and also a deck of postcards for free. It was also here I picked up my first bunch of Kobe souvenir in the form of limited edition Kobe pudding flavoured Kit Kat and well, Kobe pudding. We headed to the Kitano Starbucks after, a 3 minutes downhill walk from the tourist center and again, I joined yet another queue to order my drink. This Starbucks store was so popular that every seat and table was taken and I sadly had no choice but to have my Vanilla Lemon Latte to go . I also purchased the limited edition Kobe tumbler and card which entitled me to a free drink with the tumbler. The Kitano Starbucks was gorgeous as every room was kept in its original form, allowing customers to sit and enjoy their coffee while feeling right at home. I sat on the outside patio for a bit, just people-watching before the spring cold got to me and forced me to keep moving. After all the walking, we adjourned back to our guesthouse/hostel to properly check-in and also to get some rest before heading out to Harbourland for dinner. We got lost trying to get to Harbourland and ended up taking the longer train route to the place. When we arrived, we found out that Harbourland station wasn't exactly near Harbourland and walked for about 15 minutes, pure torture as it was freezing cold and breezy. But the sight that greeted us at Mosiac and Harbourland was worth it as we caught a glimpse of the massive ferris wheel and the Kobe Port Tower. Dinner was at bit of a mess as my group could not make up their minds on what to eat despite Mosiac having an abundance of restaurants. In the end, we settled for a ramen shop, Mujinnzou - Minatokobeya on the first floor of Mosiac. I ordered their soy sauce ramen with pork bone (690yen) and it was delicious (either that or I was super hungry). The ramen was al dente and the soup was piping hot and flavourful. It was good meal on a cold night. We headed back to Yume Nomad, thankfully without getting lost this time and after purchasing our breakfast (and some late night limited edition Haagen Dazs) from the mart next door, tucked in for a good night's sleep as the next day, we were heading up a mountain. Continue read about Day 2 here.